Wee One Michigan Fundraiser Recap - May 22, 2017. Wee One Foundation helps Linda Billette, wife of Bloomfield Hills Country Club superintendent Dan Billette. Wee One Foundation Hits Milestone- June 22, 2016. The Wee One Foundation sent its 1 millionth dollar to help a family in need in Ohio earlier this week. Jimmy Keith knew something was terribly wrong when he had trouble breathing in the summer of 2011. “It was like I hit a wall, and I just slowed down after that," said Keith, a former certified golf course superintendent at Saint Charles Country Club outside of Chicago for 17 years. Jimmy was diagnosed with the rare genetic disease Alpha-1 antitrypsin deficiency in 2014. After mounting medical bills, the Wee One Foundation stepped in to help. Wee One Foundation supports superintendent battling ALS - May 12, 2015. Dean Kerns, CGCS, has spent 33 years at Arrowhead Golf Club in Minster, Ohio. When he was recently diagnosed with Amyotrophic Lateral Sclerosis (ALS), a progressive neurodegenerative disease, it was inevitable that he would have to retire from two things he loves. However, a surprise gift from the Wee One Foundation on Masters’ Sunday will allow him to extend his career as a superintendent and a golfer. 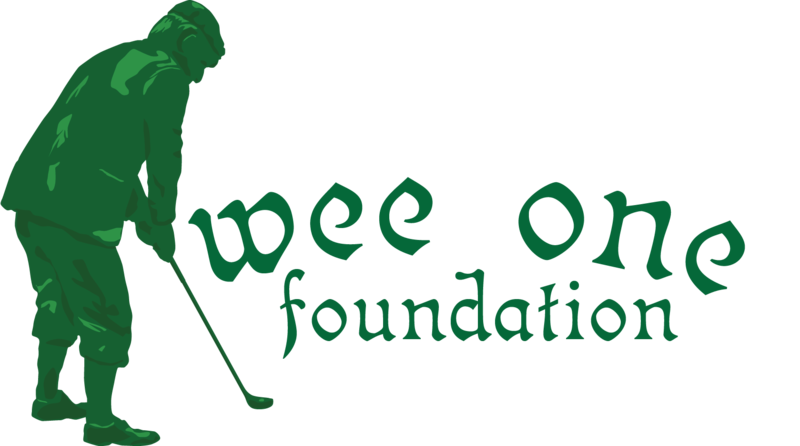 Wives of Turf continue support for Wee One Foundation - Fall 2015. Wives of Turf partnered with Turf Fuel to challenge industry to get fit and run for the Wee One Foundation. The TurfFIT 5k, in its inaugural year, had more than 45 participants run in the virtual 5k raising $500 for the Wee One Foundation. Aquatrols is Proud to Support Wee One Foundation through Early Order Program - November 13, 2015. Help your turf and help the Wee One Foundation! Aquatrols is proud to once again support the Wee One Foundation through Turf Bucks, our early order program. Roof-To-Leaf Tip Program Donation Helps Wee One Foundation Support Superintendents - December 16, 2014. Recently, as part of the 2014 Root-to-Leaf Tip program, Syngenta, with the help of program participants, was able to donate $20,350 of the program proceeds to the Wee One Foundation. Matt Henkel, Golf Course Superintendent at Prairie View Golf Club in Byron set up a Wee One Fundraiser in conjunction with the NorthWest Illinois GCSA. Over 80 golfers enjoyed a day of "superintendent revenge" on the course and afterwards, families joined in for dinner, a movie and fireworks. Thank you Matt. Ames, Iowa – February 6, 2013 – Becker Underwood presented the Wee One Foundation with a check for $5,210 at the 2013 Golf Industry Show. The donation was the result of a program with the company’s Transition HC turf colorant that offered a donation for every case purchased through December 31. Wee One Foundation founders accept donation from Becker Underwood (left to right): Chad Ball, Paul Bastron, Steve Cook, Luke Cella. For every case of Transition HC purchased during August 15 through December 31, 2012, Becker Underwood offered to donate $10 on behalf of the purchasing superintendent to the Wee One Foundation. And for every early purchase made between August 15 and September 30, 2012, Becker Underwood would add an additional $5 per case matching gift, for a total donation of $15 per case. Playing off the popular trivia game enjoyed by superintendents throughout the show, the “Superintendent Pyramid: Media for Charity” round gave industry editors a chance to compete on behalf of their charity-of-choice. Blu Petroleum pledges to Wee One Foundation - December 12, 2012. Blu Petroleum pledges to the Wee One Foundation’s One for the Wee One Endowment. Steve Poole, CEO of Blu Petroleum, recently announced his company’s support of the One for the Wee One Endowment campaign to raise $10 million in 10 years by pledging their portion of the profits from fuel sold to golf courses and clubs. The Wee One Foundation continues to be featured by GCSAA TV. Take a moment to check out these videos and see what we are up to. Thanks to our friends at EPIC Creative for helping us with these.